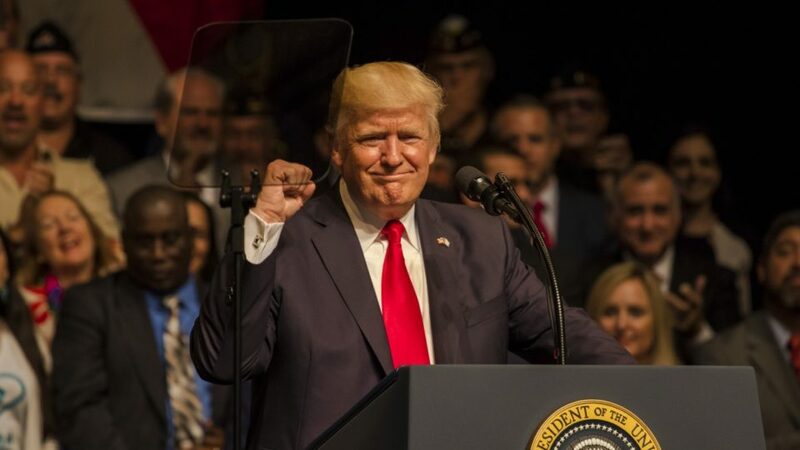 Saying that the Cuban people suffered for almost six decades of communist rule, President Donald Trump, to tremendous applause, unraveled and rescinding Barack HUSSEIN Obama’s 'so-called' historic accord that opened up trade and travel to Cuba... and he did so by rightfully calling Obama's deal “terrible,” “one-sided,” and “misguided"... and that is putting it mildly. 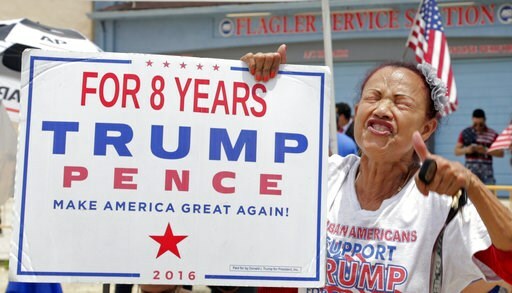 And so in a campaign promise kept to the anti-Castro voting bloc that helped him win Florida in the 2016 election, President Trump stated that he will be "a voice against repression" and "a voice for the Cuban people." 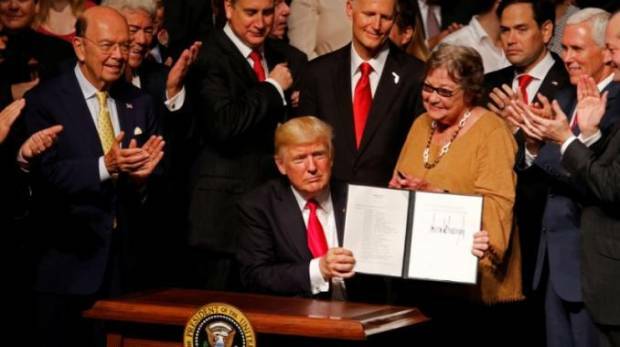 Adding that Obama's easing restrictions on Cuba did not help the Cuban people at all, especially with the Castro regime becoming even more repressive in their trying to crush the island nation's growing democratic movement, and because it still remains a regime that has failed to take any positive action on human rights, Trump went on to explain that current investments in business and tourism aided both Cuba's military...as all business relationships and deals go through the Cuban military...and Raul Castro's dictatorial regime...with any jobs created going to party cronies and loyalists alone. Translating into any American monies given being our taxpayer dollars wasted. And in a bold move to hold Castro accountable for still on-going and increasing oppression (in 2016 there were 9,940 short and long term detentions of political protesters, up from 8,899 in 2014) and human rights abuses ignored while Obama was president, President Trump let it be known that sanctions will not be lifted until all political prisoners are freed, until both freedom of assembly and expression is respected, until all political parties are legalized, and until free and internationally supervised elections are held, thus making it clear who is now calling the shots and who is not...and not means one Raul Castro. "The career service people, in the State Department and Treasury and in other places, are not in favor of changing this policy," said Sen. Marco Rubio during his and Rep. Mario Diaz-Balart's May 3rd White House meeting with President Trump...a meeting to try and get President Trump to reverse Obama's Cuba policy. 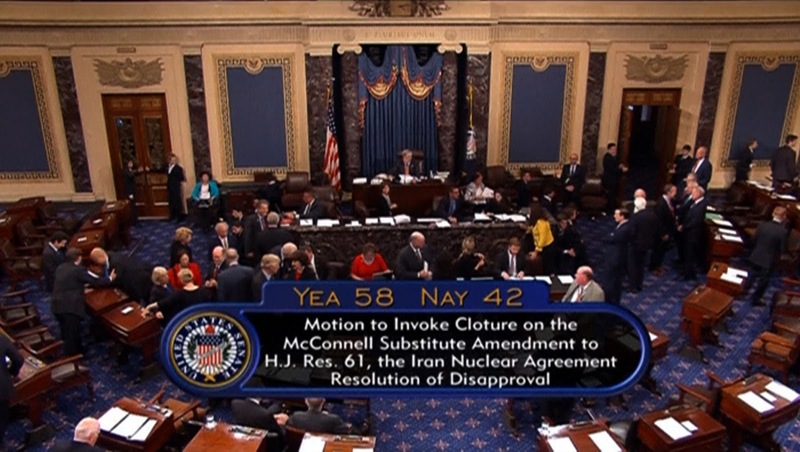 And they did so even though two groups of pro-Cuba "engagement" House and Senate Republicans each sent letters to President Trump and to key members of his administration... letters asking for Cuba to remain "open" citing the "entrepreneurial and national security benefits" as the reason for continuing Obama's Cuba policy. “We will enforce the ban on tourism. We will enforce the embargo. 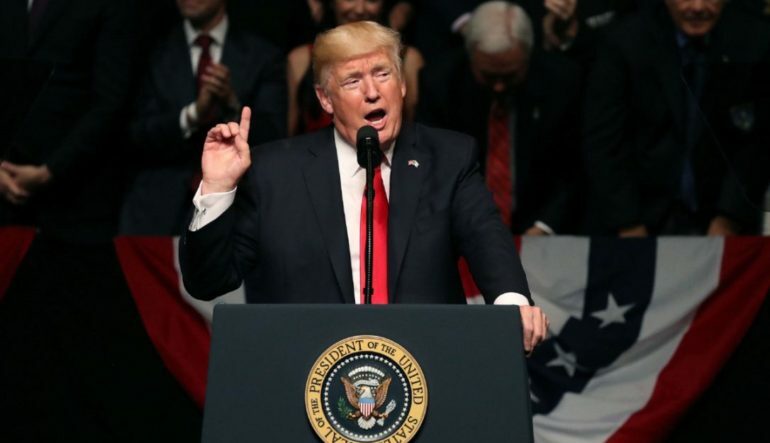 We will take concrete steps to ensure that investments flow directly to the people so they can open private businesses and begin to build their country’s great, great future, a country of great potential,” Trump said as he challenged the Cuban government to "come to the table" to work towards an agreement that is in the best interest of the Cuban, the American, and the Cuban-American people. And Trump said that best interest included Cuba's returning to face American justice both cop killer Joanne Chesimard and what he calls the Cuban military "criminals" who shot down and killed four members of Brothers to the Rescue. 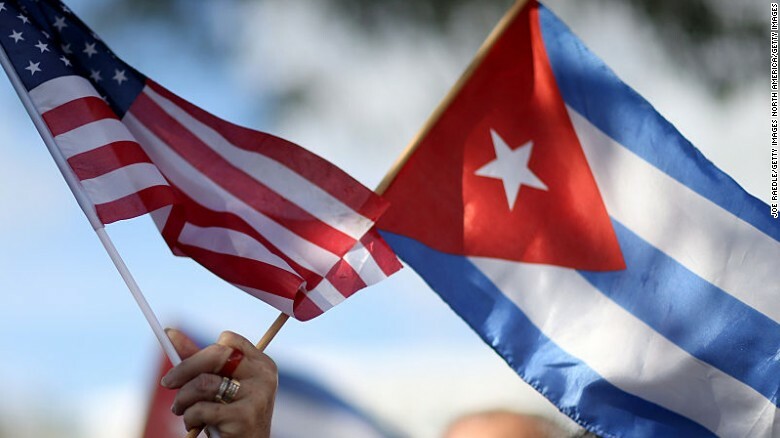 Also, travel policies will be adjusted to make it harder for individual 'people-to-people' travel...tough luck Beyonnce and Jay-Z...but family travel will continue to be authorized as will U.S. based money transfers that Cuban-Americans send to their families on the island. And while we will retain formal diplomatic relations with Cuba via the newly re-opened U.S. Embassy in Havana, the 'wet foot, dry foot' policy will not be reinstated out of safety concerns for those trying to make such a dangerous sea voyage. And while no changes will go into effect until both the Treasury and Commerce Departments issue new regulations that conform with Trump's new policy, the Cuban government's response to Trump's change in policy came swiftly and it came via a statement in the state-run newspaper Granma, "Again, the United States Government resorted to coercive methods of the past... the Cuban Government denounces the new measures to tighten the blockade, which are destined to fail as has been shown repeatedly in the past, and which will not achieve its purpose to weaken the revolution or to defeat the Cuban people, whose resistance to the aggressions of any type and origin has been proven over almost six decades." But really...who cares what Raul Castro's propaganda rag has to say. 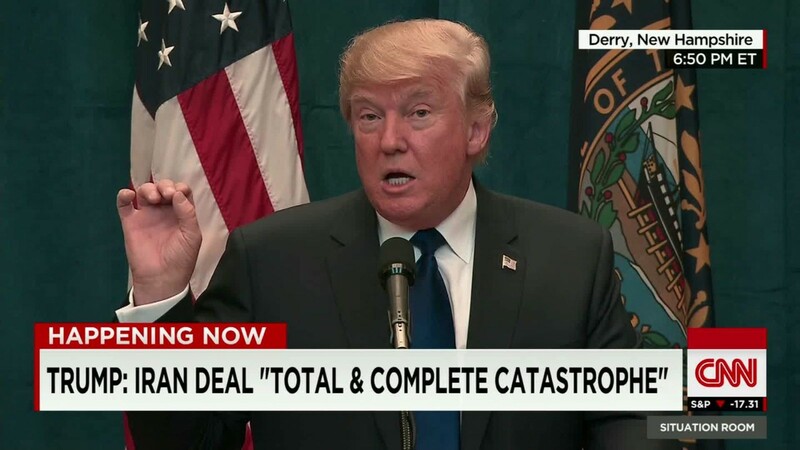 So now that Obama's bad Cuba deal has been rightly relegated to the trash heap where it belongs, Trump has one more bad deal of Obama's to get rid of...the multilateral agreement yet "catastrophically" bad Joint Comprehensive Plan of Action (JCPOA)...more commonly known as the Iran nuclear deal...probably the worst deal ever made by a U.S. president. And this was a deal Obama touted as a crucial move towards what he called "detente with Iran" and towards regional peace, and was a deal that was supposed to restrict the nuclear ambitions of the rouge nation in exchange for lifting financial and oil sanctions imposed not just by the United States, but also by the European Union, and the United Nations. 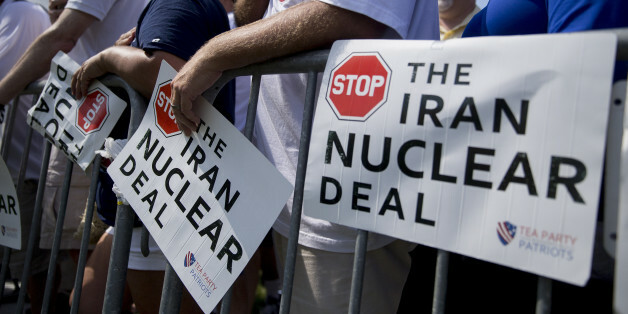 But the reality remains that this was a deal that did not address Iran's foreign policy.violations, and was a deal made through blackmail of sorts what with Obama's 'warning' Congress that blocking the deal could spark not only start a Middle East war, but that U.S. credibility worldwide would be seriously damaged if Congress refused to abide by the deal's terms reached...a deal with a country that went from having 164 centrifuges in 2003 to 19,000 at the start of talks in 2013, despite broad and expansive U.N. sanctions. And it did not matter to Obama that it was a very bad deal made with a country who has repeatedly in the past and who continues today to spew its intent to wipe Israel off the map while it touts as noble both violence against both American troops and the world's innocent civilians alike...for Iran is indeed the world's leading sponsor of terrorism and plays a major role role in regional military conflicts. 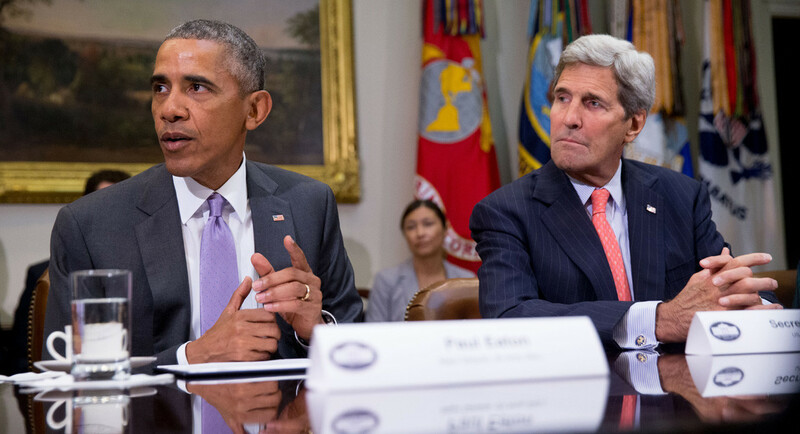 A deal I call 'aiding and abetting' the enemy...a deal of treason and nothing less...for Obama's very bad deal does little to block Iranian’s path to securing nuclear weapons as this deal actually gives Iran a 'pathway' to nuclear weapons capability. 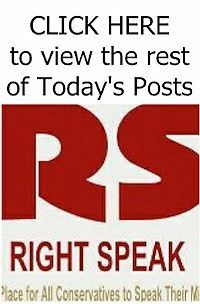 Remember, under this still in effect deal of Obama's, Iran is allowed to enrich uranium using the thousands of centrifuges it already has in operation, is allowed to conduct nuclear research and development, and is in charge of monitoring their own adherence to the nuclear restrictions. And dare we forget that in only ten years...in what is referred to as Iran’s 'breakout time'...their rush to secure a nuclear weapon drops to almost zero for as per the deal they will be allowed to begin building hundreds of advanced new centrifuges annually, while at the same time being allowed to expand its long-range ballistic missile program...the very program that would afford Iran its needed delivery system not to reach Israel but to reach who they call the 'Great Satan'...as in these United States of America. 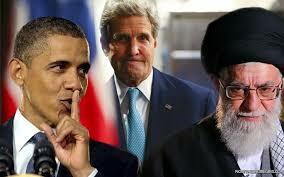 So it is no wonder why this Iran deal of Obama's must join the Cuban deal in the trash heap, and must do so post-haste for it is a deal that not only assures Iran of eventually securing nuclear weapons, but it is a deal that also funnels tens of billions of dollars to terrorists hell-bent on destabilizing the entirety of the Middle East making full-blown war a possibility...allowing the so-wanted Levant to come to fruition. And yet President Trump...who must review and sign the sanctions relief waiver every 120 days based upon Iran's complying with their end of the deal...just one month ago passed up his first chance to withdraw us from this very bad deal. And while Trump knows that it would be legally possible for him to nullify said deal, he also knows that his doing so could possibly isolate us from the international community. And besides, we already have unilateral sanctions placed against Iran that go back decades that the nuclear deal has no bearing on...sanctions recently extended by Congress. 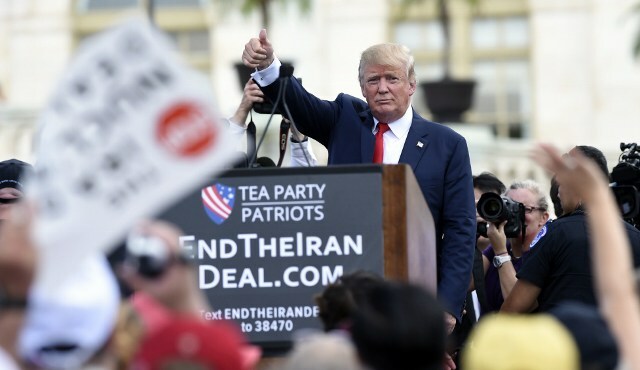 So the question remains, is President Trump trying to renegotiate a better deal with Iran possibly his true goal? Probably not as it would be much easier for him to totally kill the existing deal because said deal still in effect did require demanding negotiations between many parties, with those parties now highly unlikely to want to renegotiate again. And while the deal did reign in Iran's uranium enrichment capabilities to some degree in return for the previously stated lifting of economic sanctions, it was our European allies not us who economically benefited the most from the deal with oil-rich Iran. And these folks would not want to jeopardize those benefits no matter the fact that any Western company that invests in Iran actually becomes complicit with a terrorist regime. But how and with what justification could President Trump legally pull us out of Obama's very bad nuclear deal...and is he just waiting for the right time to send it to the proverbial trash heap where it belongs? I truly believe he is. And why do I believe so...because said deal is only valid as long as all parties uphold it. And with Iran's continuing and active role as the leading state sponsor of terrorism has shown them to have already broken their end of the deal...a deal that forbade their giving released sanctions monies to terrorist groups. And that is exactly what Iran has done in their giving money to known terrorist groups in Iraq, Yemen, Syria and Lebanon, including their giving monies to militias fighting the U.S. backed anti-government rebels in Syria...as in Obama's buddies the 'anything-but' Syrians rebels who are tentacles of ISIS and al-Qaeda....and their giving monies to U.S. designated terrorist group Hezbollah. And also let's not forget the U.N. resolution passed immediately upon the nuclear deal going into effect that called for Iran not to undertake any activity whatsoever related to ballistic missiles...ballistic missiles capable of delivering nuclear weapons...well that too Iran has broken. 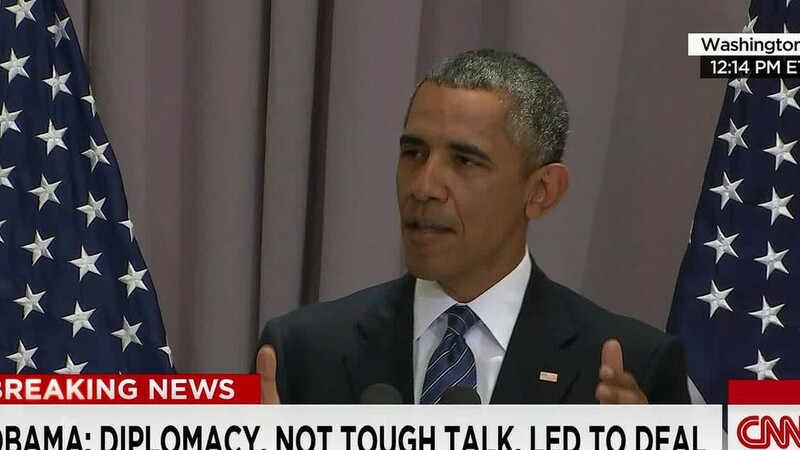 Translation: whether alone or together both these instances are deal breakers of the first degree...deal breakers that give President Trump the much needed leverage, ammunition, and just cause to pull us out of a deal that should never been ratified by Congress in the first place...and he could do so by using our veto power as a permanent member of the U.N. Security Council to kill any continued sanctions relief. So as President Trump continues his review of Obama's very bad nuclear deal, coupled with the fact that the U.S. remains the primary influence over the international financial system, makes both U.S. and international banks more than a bit leery about resuming full ties with Iran. And with our continued unilateral sanctions against Iran still in place allows us to continue to question Iran's intent to comply with the agreement they so desperately wanted. And that basically assures us that in time President Trump will pull us out of the deal that should never have been.